I’m writing this from Swaziland, Africa! Our team has been on the ground for a week now. We’ve seen and done A LOT…God has moved in so many ways and the experiences here will carry us a lifetime. A few days ago, a group of us decided to hike up a mountain to watch the sun rise. I reluctantly agreed to be a part of this group, not being an avid hiker…or a hiker at all really 🙂 But, I didn’t want to miss a single experience. It was cold and dark when we set out and began the climb to the top. It was incline after decline (but mostly incline). I pushed on winded and wondering along the way...”Am I going to make it? Am I going to die on this mountain? Why am I doing this – there is no foreseeable reward, a trophy of sorts?” But with each steep incline there came relief of level ground to catch your breath, much like life. We fight battles of all sorts, feeling like we are pushing uphill and just when we feel like we can’t take another step…God provides a break through or relief. As we climbed, it got more and more intense. The small pebbles moved under our feet and we stumbled but we would use the large stationery rocks to steady ourselves. (There is a sermon in there about on holding onto the rock, right KB?) 🙂 And then, we made our final push to the top of the mountain. It was breathtaking! The view was spectacular and we all took time to sit and soak in God’s beautiful creation, worshipping and praying. It was a moment I will not soon forget. 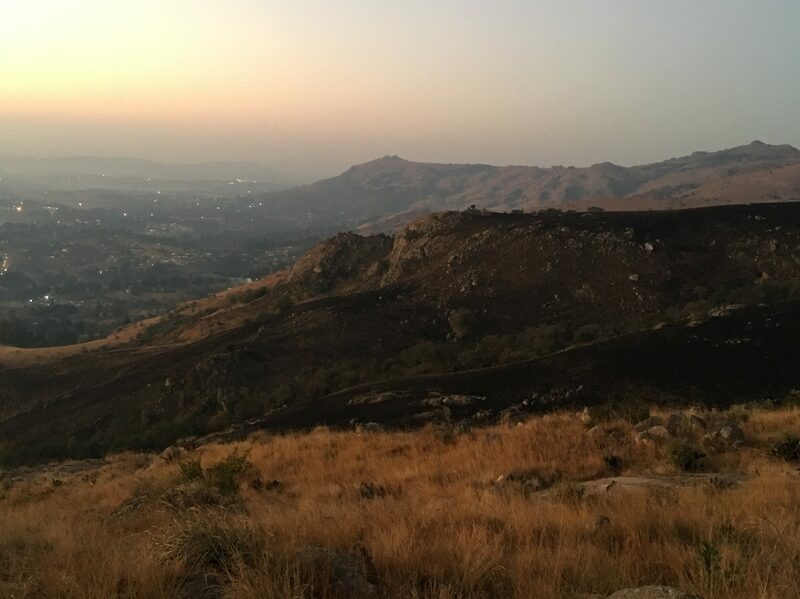 The sun began to peak over the mountains and again, the creativity of our God was displayed magnificently on a mountaintop in Swaziland and it was beyond words. I have to admit, I was a little shocked I had made it…I have never really hiked before, not like this, and I was quite proud of what I had accomplished. Then we began our descent, which was at times more challenging than the climb. I thought as is with life…coming off the highs or victories in life are sometimes as challenging as the work it takes to get to the high spots. We can often get stuck in the “highs” of life and reliving our “glory days” not living expectantly of the new things that God wants to teach us as we begin our descent, or resettling. Being so proud of making it to the top, I began the descent with confidence, maybe a little too much, because I hit a steep slick grassy spot and down on my backside I went…hard. I immediately thought, once again, this is just like the life we live. If we aren’t careful, we can let our accomplishments feed our pride in such a way that we lose sight of where the source of strength and accomplishments come from and find ourselves tripping over the very thing we thought we had conquered. With a battered backside, I arose and continued on my way, at a much safer pace I might add, to reach our original starting point. As we neared the end, I couldn’t help but think about God’s goodness, grace and mercy. So today, go climb your mountains and enjoy the view from the top, but never lose sight of the God that strengthened you for the climb because He will also steady you in the descent!